The translucent sheer fabric vanes of Shangri-La® Sheer Window Shadings can be positioned fully open, fully closed or anywhere in between for the privacy control you want. 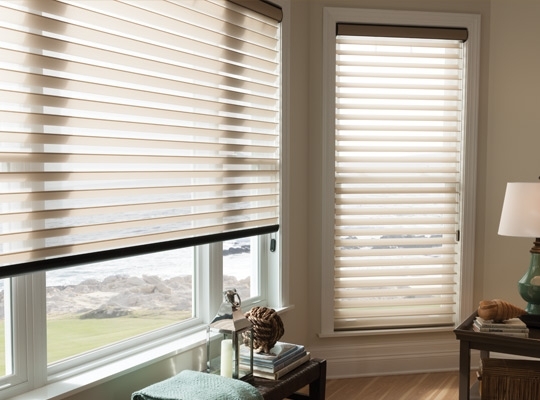 And unlike any other window shading available, Shangri-La Window Shades can be raised with the vanes still open. Cordless Shangri-La® Sheer Window Shading are certified for Kids.